Our optometry team strives to deliver the highest level of personalized vision care for families in Portland. 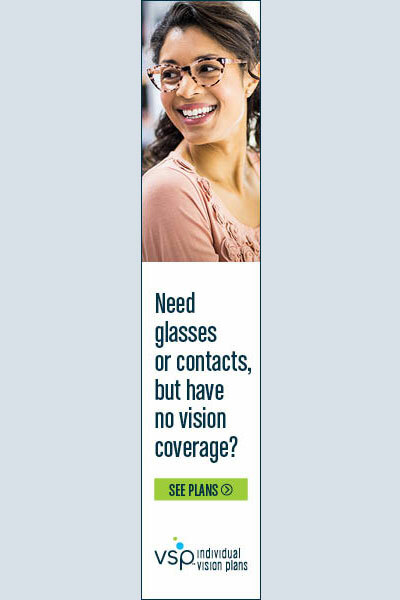 We offer complete eye & vision care services - from eye exams to prescription eyeglasses. Questions? We’re available by phone or email. Click for address, hours, directions and more. Call us at (503) 546-4460 today. Welcome to Foster Vision in PORTLAND. Dr. Marielle Kwon and the Foster Vision team strive to provide the best in optometry services. We invite you to browse our website to learn more about our optometry services and join our patient family by scheduling an eye exam appointment at our PORTLAND office. Foster Vision is a full service eye and vision care provider, accepting both eye emergencies as well as scheduled appointments. Patients throughout the PORTLAND area come to Foster Vision because they know they will receive the personal attention and professional care that is our foundation. Dr. Kwon and our team are dedicated to keeping our patients comfortable and well-informed at all times. At Foster Vision, we will explain every exam and procedure and answer all of our patients' questions. Additionally, at Foster Vision, we offer vision financing options and will work with vision insurance providers to ensure good eye health and vision care for all of our patients. Our one-on-one approach to optometry makes Dr. Kwon and the Foster Vision staff the eye and vision care providers of choice in the PORTLAND area. Our PORTLAND optometrist offers the following services: complete eye exams, contact lenses, glasses, glaucoma testing, and pre- and post-operative care. For a complete list of services, visit our services page or call our PORTLAND office at (503) 546-4460. At Foster Vision, we are dedicated to providing high-quality optometry services in a comfortable environment. Call us at (503) 546-4460 or schedule an appointment today online. Fill in your details & we’ll call you back. Or, why not call us now and get you scheduled in straight away? Dr. Marielle Kwon has been serving the needs of patients in the Pacific Northwest since receiving her Doctorate in Optometry from the New England College of Optometry in 1995. She has enjoyed great success serving patients within the optical industry since 1995. Foster Vision is the culmination of Dr. Kwon's desire to provide the great care and service that have been the hallmarks of her career in a more warm and personal setting. Dr. Boram Chung always knew she had wanted to dedicate herself to a career in which she could express her compassionate personality and her abundance of personal knowledge to good use. Having worn glasses and contact lenses for most her life and always caring for the well being of others, being a doctor of optometry had been her dream job as soon as she knew of the profession. Yesterday was my very first time ever going here. I saw Marielle and she was absolutely amazing. She is very very sweet and fun to be around. It's a small little clinic, but very welcoming. The assistants were fantastic too. Let's just say, my crawling 1 yr old loved it so much she started walking on her own there. They were just as excited as I was, it was like they instantly became family. I've never felt so welcomes at any eye doctors as I did here. Very detailed thorough exams. Friendly caring staff. Dr. Kwon found my husband had a serious eye condition. She found a specialist who would take him immediately. Highly recommend.